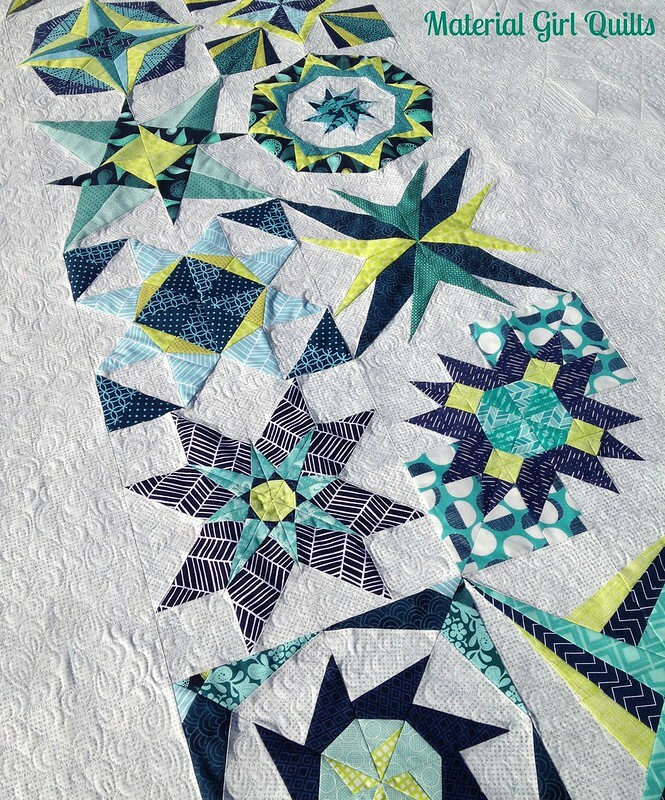 If you've been following my blog for awhile, you have most likely seen some of the blocks in this quilt before. 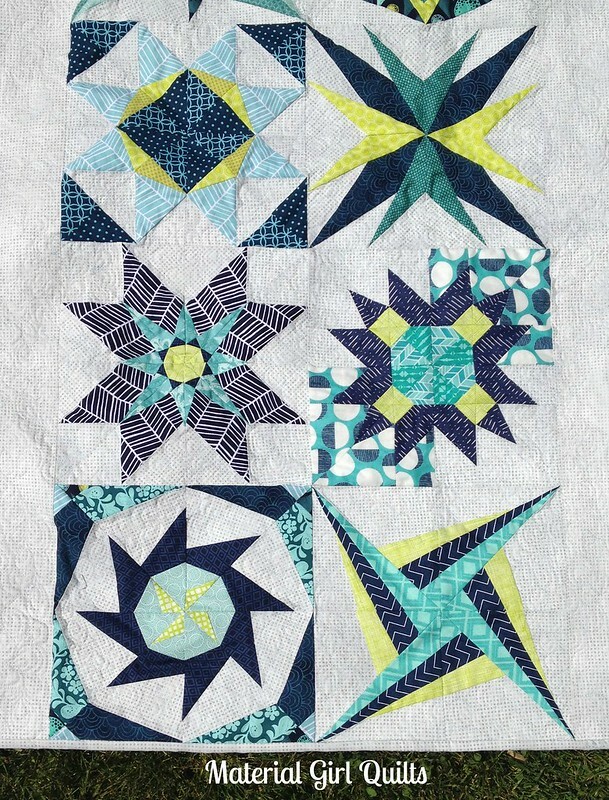 They are from Elizabeth Dackson's 2013 Lucky Stars block of the month. 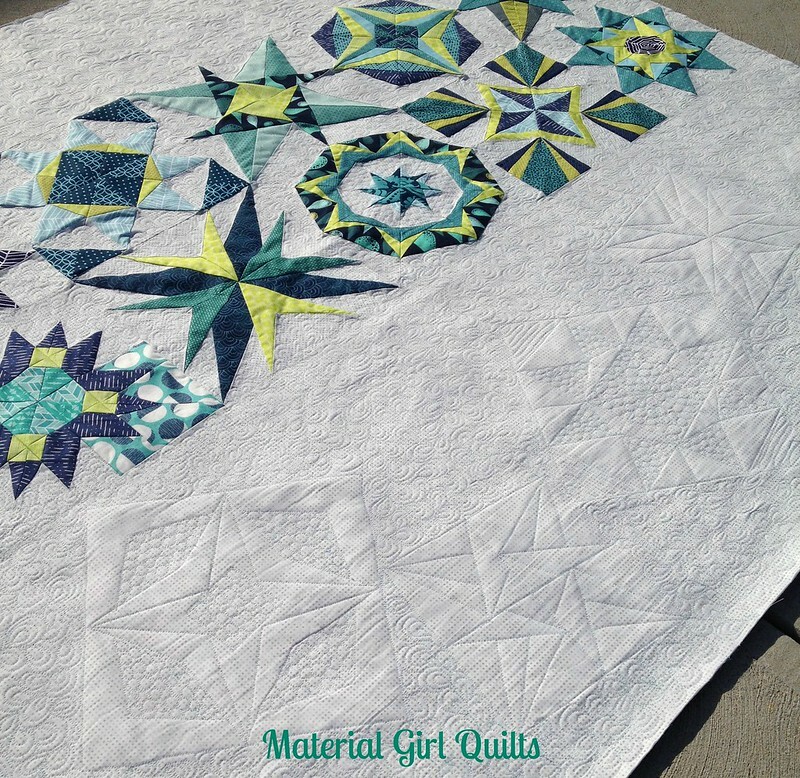 I'm not the best at paper piecing, and this block of the month really challenged me as the year went along. It seemed that the blocks progressively got a little more complicated (or at least contained a lot more pieces!) as the months passed. There are times when I didn't like the challenge, because I often like to get things done quick. 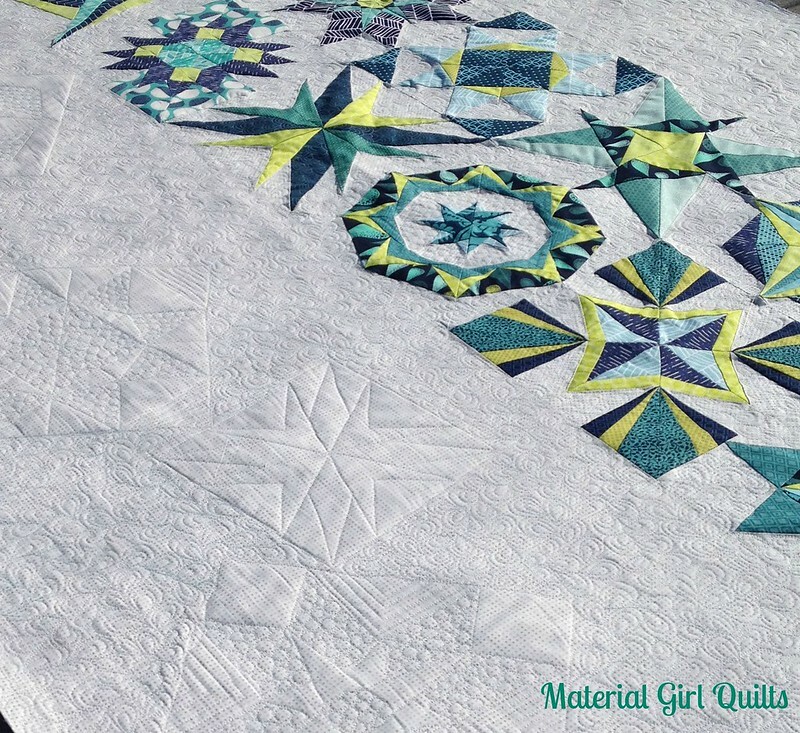 When I was finished with each of these blocks I truly felt a sense of accomplishment and that I had increased my quilting skills. 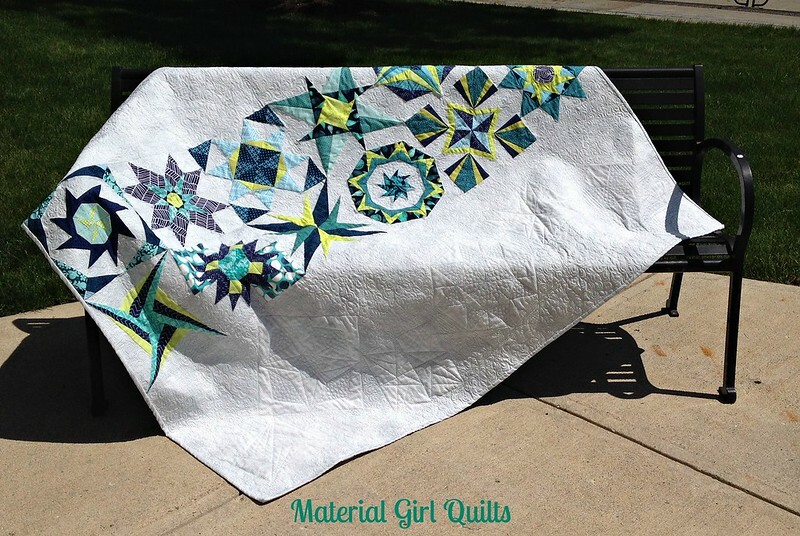 And if challenging myself with the piecing wasn't enough, I was convinced by one of my free motion quilting idols, Judi Madsen to take some of the shapes in the blocks and extend them into the vast negative space on the side. 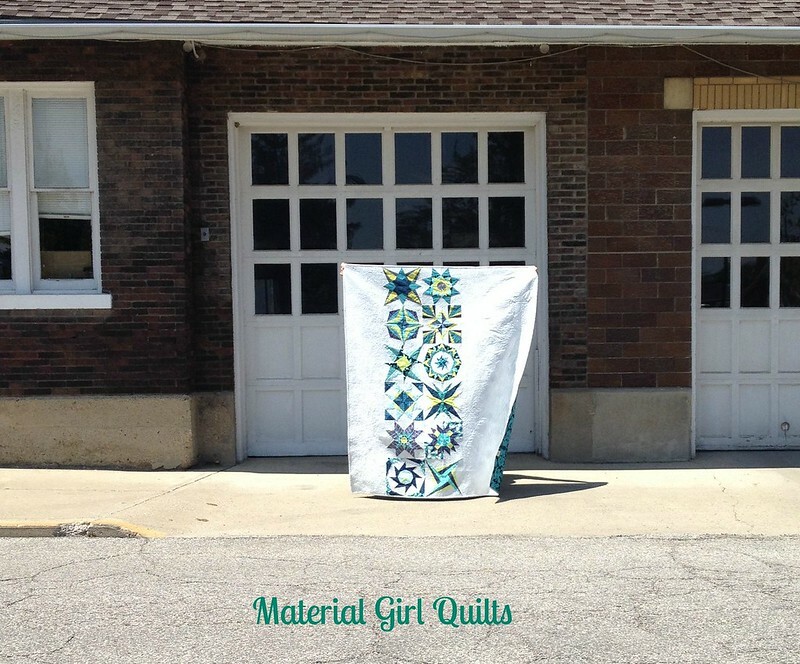 I will be honest, I was completely TERRIFIED before I finally made myself start quilting. And the result is far from perfect, but I am now thrilled with how it turned out. I used Aurifil 50 wt. #2600 for the front and #5006 (a light aqua) on the back. 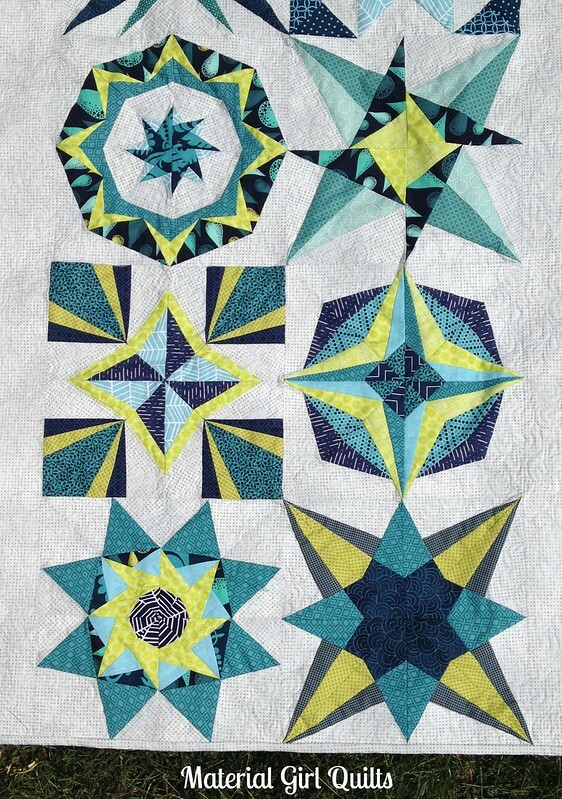 I have learned a lot in the process of making my Lucky Star quilt, but most importantly I have learned to never stop challenging myself and trying new things. Besides, what fun is it to keep creating the same things over and over and over. 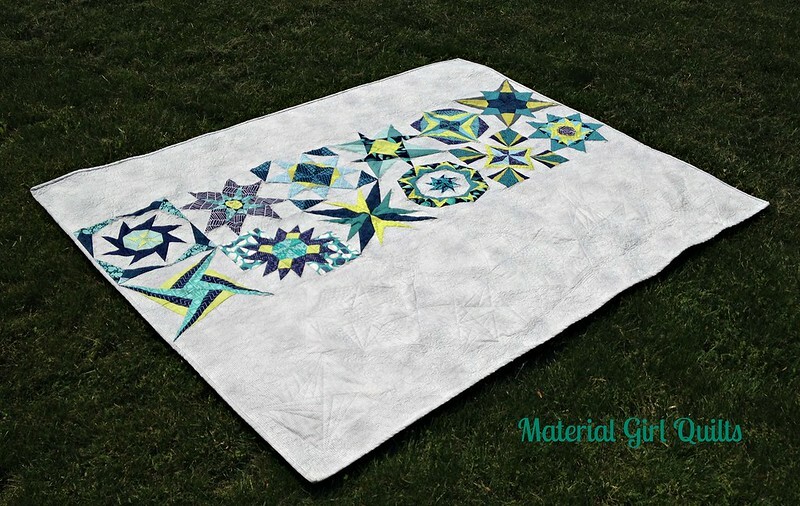 I will of course continue to love making the simple quick quilts, just for the pure satisfaction I receive in completing something that I know someone else will use and love. Looking at all of the blocks, it's pretty hard to choose a favorite, but I think I can narrow it down to a couple. One of them would be the top left block in the photo below. It had A LOT of pieces in it, but when finished looks so pretty and almost like a flower. After church today, the boys and I went out on a little photo shoot and the sun was so bright that it was difficult to get a good shot without bad shadows, but I'm not complaining about the sun anytime soon. I am more than ready for warm sunny weather to come and stick around.